Order our Slim Fit Lab Coat in your suit size. You have two options. If you like more modern styling and more tailored clothing, order the slim fit in your suit size. In my experience at medical conferences fitting hundreds of physicians - if you are an American size 40 suit or blazer, then you are a 40 in our slim fit. 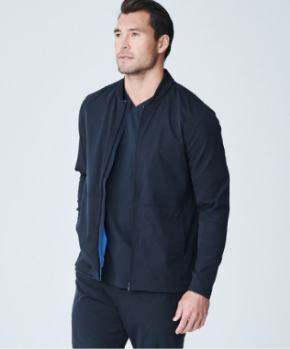 Option two, if you like a more relaxed fit, order the classic fit in your suit size. It will be more tailored than your typical $40 coat; however it will have more room throughout. You have two options as well. First, for the guys who want a more tailored/slim fit look, order a size up in your suit size. For instance, if you are an American size 42 then order a Medelita size 44. It will give you the room through the shoulders but give you the trim look you want. If the slim fit is not your look, then order our Laennec in your regular suit size. 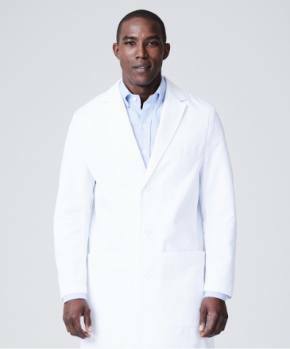 Our Osler lab coat is best option for a men’s tall lab coatand fits men 6’1” and over. 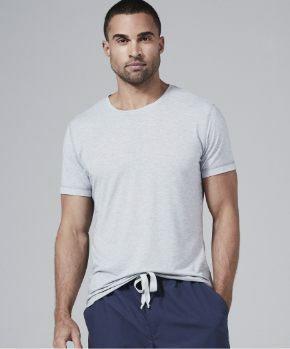 It is in our classic fit which gives you more room through the shoulders. We also leave enough extra fabric at the seams to allow sleeves to be let out by 1 inch. 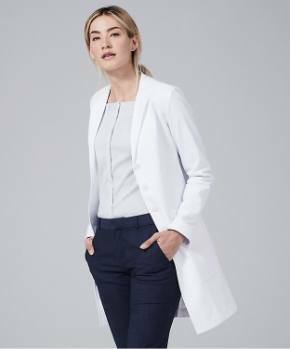 Our Laennec lab coat is fuller though the shoulders and the mid-section, and fit nearly everyone who has tried it on. It is available in XXL sizes up to size 52. The larger sizes 50 and 52 are generous in their cut. 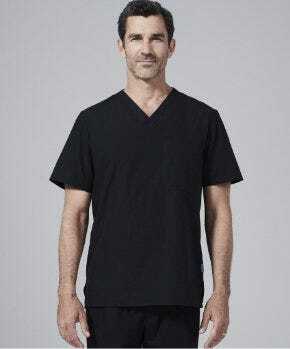 If your over-arm measurement is more than 7" larger than your chest measurement, choose a lab coat size larger than your chest. If you are still unsure, order two or three styles, and we will pay for the shipping both ways inside the U.S.. Or, if this is a gift - try sending an e-gift card and let them choose. Lastly, we are available to help Monday through Friday 8AM to 5PM PST. Please give us a call at 877-987-7979 or use our click to chat feature.